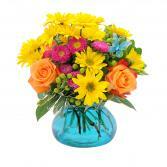 GORGEOUS arrangement! Reds, pinks, purples. 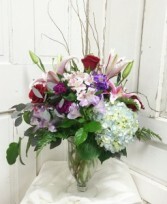 Roses, lilies, hydrangea in an elegant clear footed keepsake vase. 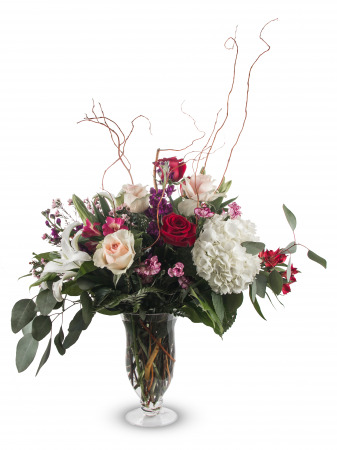 Arranged with just the right touch of foliage and accent flowers. Add chocolates to complete this exquisite gift.